Installation is fairly straightforward. 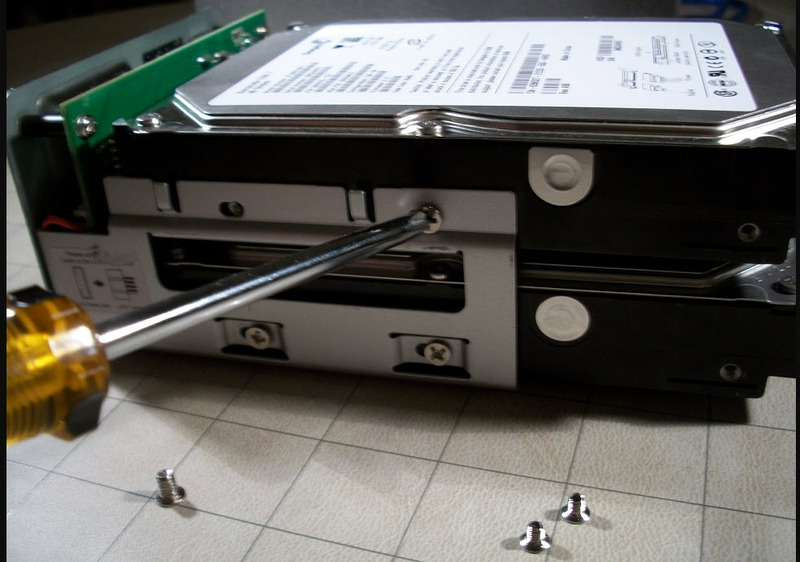 First, you will need 2 x 3.5“ SATA Hard Disk Drives. 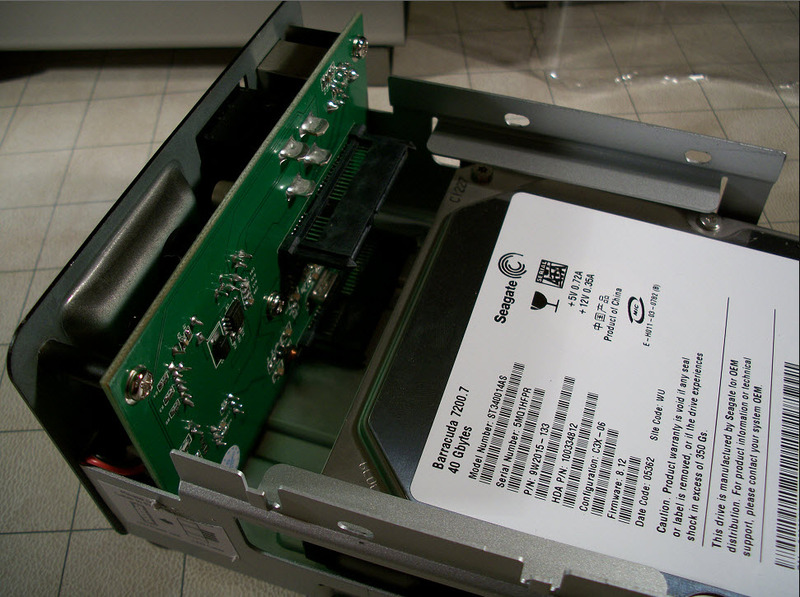 I am using 2 x 40 GB Seagate Barracuda 7200 Hard Disk Drives. Second, obtain a Phillips head screwdriver. 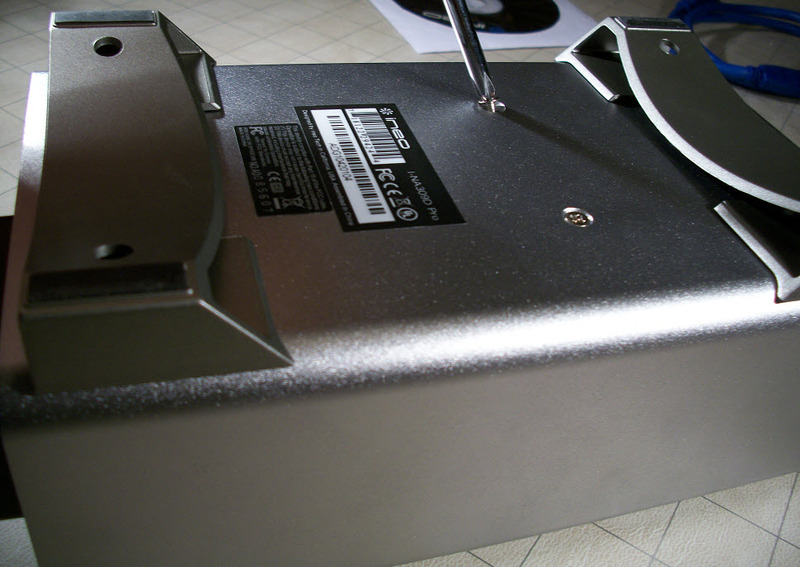 Then proceed to unscrew the mounting screws on the bottom of the enclosure. At this point I want to note that I found it refreshing that the ‘feet’ of the enclosure can be removed allowing you to have the enclosure flush with any smooth surface. Now you need to pull the insides out. Yes, eviscerate the beast! 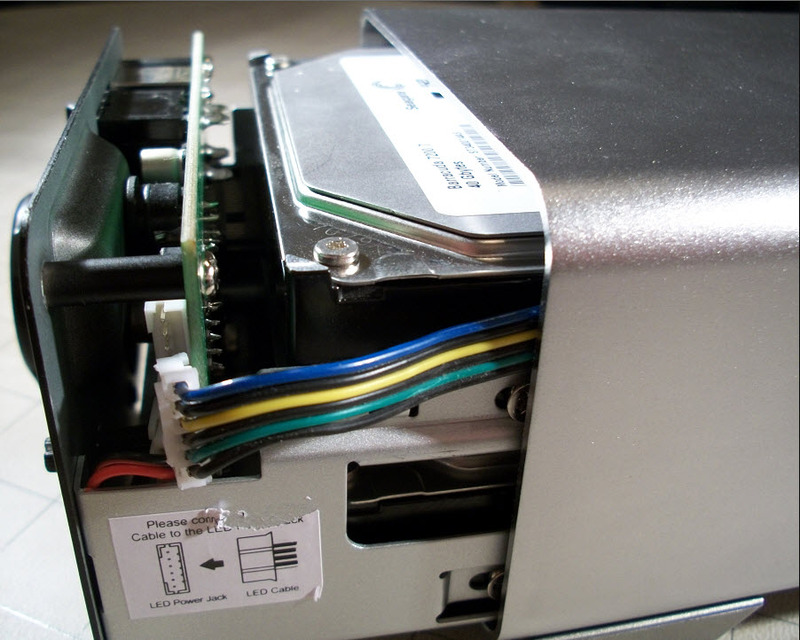 If you had been following the instructions in the manual than you would quickly realize it does not mention a step: unplug the power cable connected to the enclosures’ board before trying to fully remove the tray. 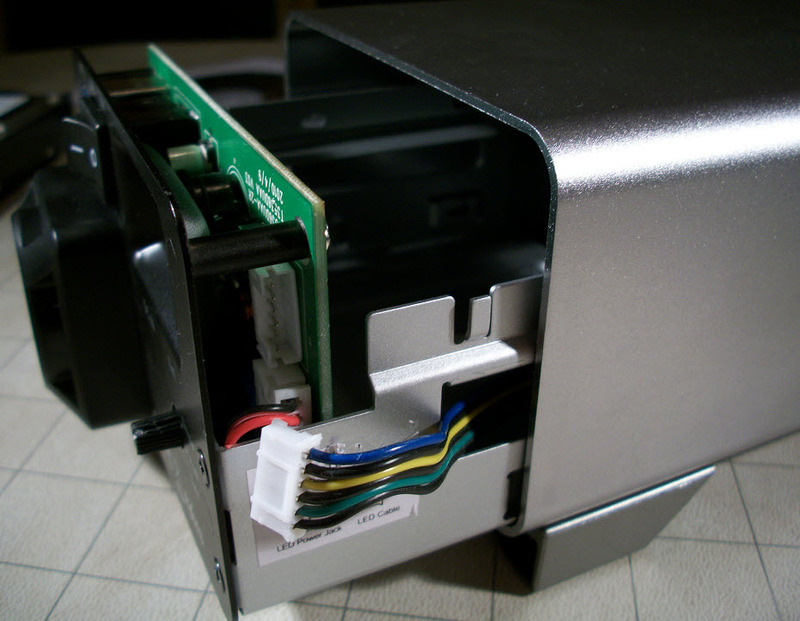 Once you have the tray removed you can readily plug both 3.5” SATA drives in and then screw them to the tray mounts. Place the tray back inside the enclosure, making sure to plug the power back in, which is for the LED’s on the front if you were curious. 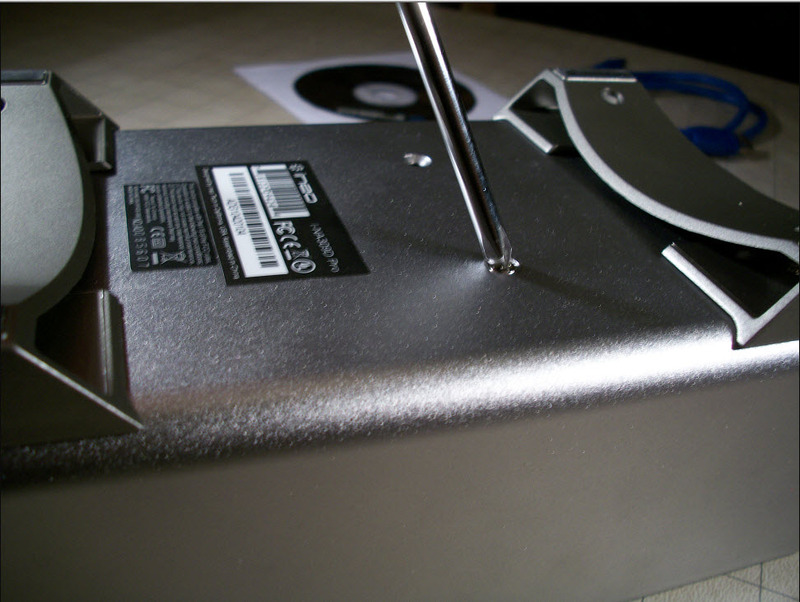 Screw the tray back in through the bottom of the enclosure after lining up the holes. Select which option you would like to go with: Single, Fast, or Safe. 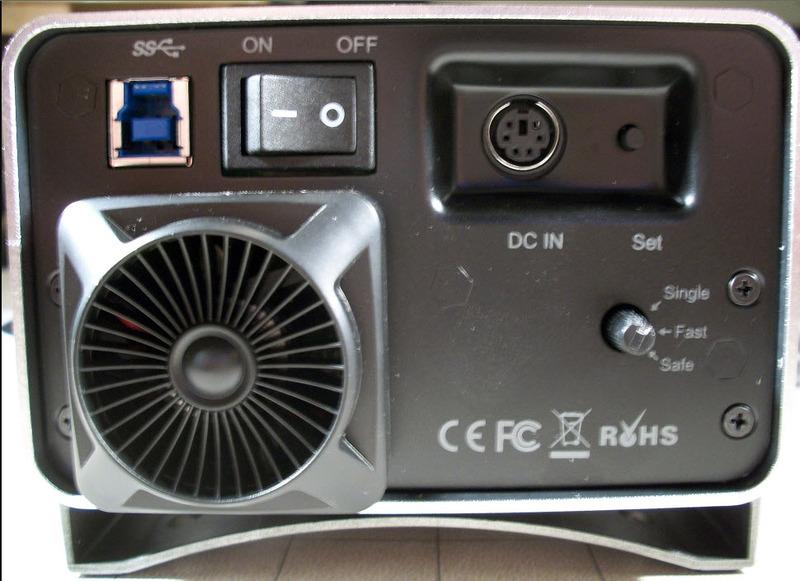 Plug in the power adapter to both the enclosure and a socket. 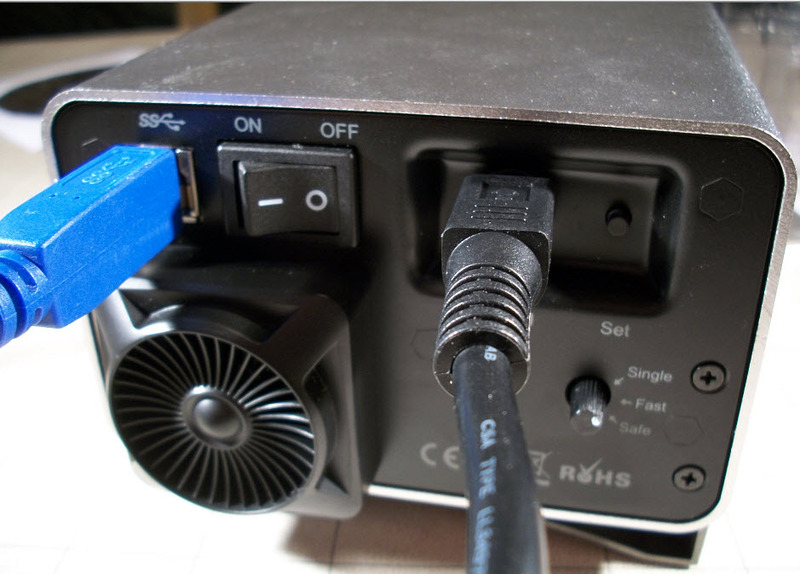 Connect your enclosure to your machine with the provided USB 3.0 cable. Watch your Operating System detect the new device!